In what was once a no-go zone, Maboneng is a flourishing residential, social and arts precinct and was named by Forbes magazine as one of its coolest neighbourhoods in the world. The brainchild of Jonathan Liebmann, he started developing the area in 2009 around Arts on Main. The idea was to create walkable spaces between the buildings so that people could engage with the inner-city streets. After buying and developing more than 50 buildings and investing R1bn in the area, Jonathan’s company, Propertuity, has been re-envisioned as a lean residential developer. The result is that Maboneng is finding its own feet as a suburb where people can work, play and continue to build the community. Maboneng has become a highly desirable address for creatives, students and young professionals. 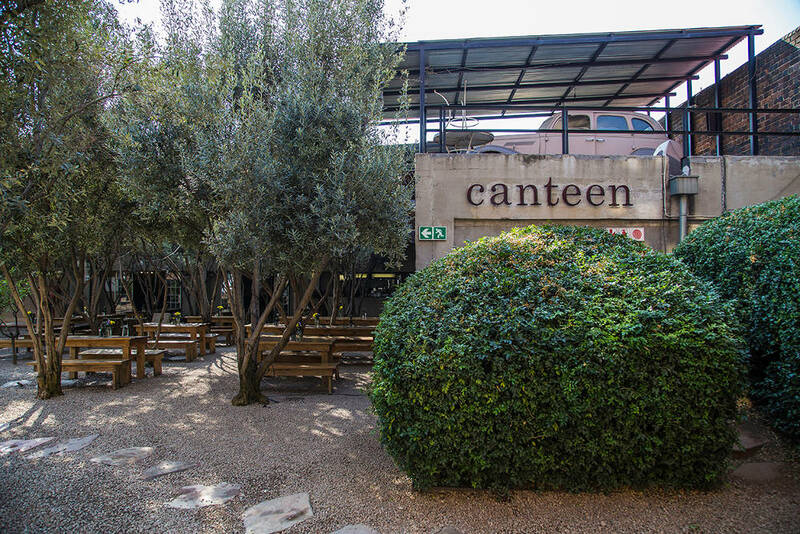 Apart from its vibrant atmosphere, Maboneng is centrally located with plenty of public transport, including the Rea Vaya bus rapid transit system, and the Gautrain Park station isn’t far away, making it easy to travel to and from the precinct and the CBD. Bronwyn Lace is a practising visual artist and director of the Centre for the Less Good Idea, a performance space in Maboneng. She is married to Marcus Neustetter, also a visual artist and a founding member of the Trinity Session. In the early days of Maboneng, they were introduced to Jonathan. “He showed us the first building he was trying to convert into apartments and we immediately said that if that happened, we would buy. It did, and in 2010, we were one of the first to move in as residents of Maboneng under this refurbished cultural precinct concept,” says Bronwyn. 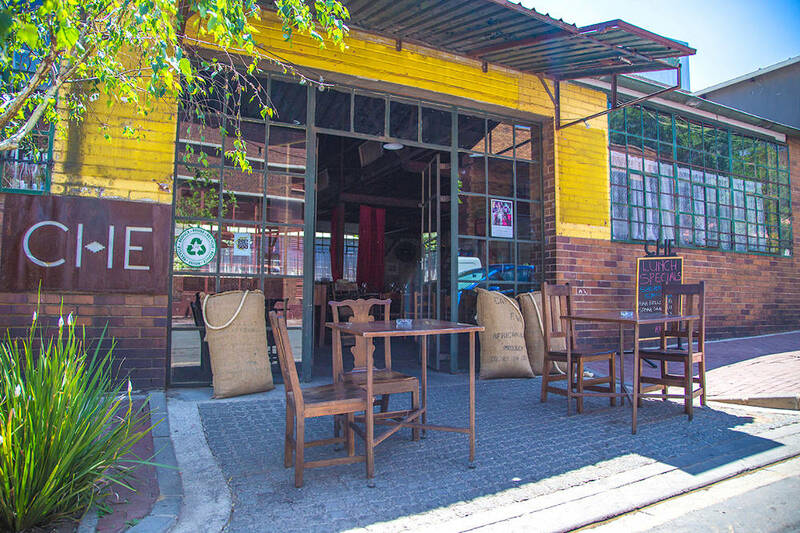 Maboneng encourages the artistic and entrepreneurial spirit, has fairly affordable property – priced from around R500,000 – and offers residents an alternative to suburban living. 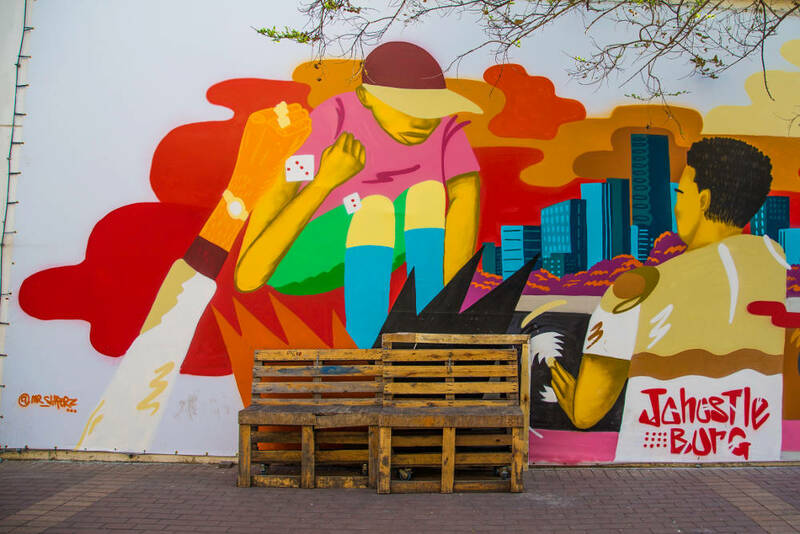 Downtown Joburg isn’t a place that people traditionally think of as an ideal location for raising a family, but things they are changing. The independent school network Spark opened its third school in Maboneng and will be adding new grades each year until it’s a full primary school offering Grade R to 7. Whether you’re a Saturday-night visitor or an inner-city resident, Maboneng offers everything a person might need, along with the buzz of participating in South African street life and breaking down cultural barriers. Tuck into a range of African and international cuisine at the weekend Market on Main. Shop for funky jewellery, clothes and art at the Main Street Bazaar. 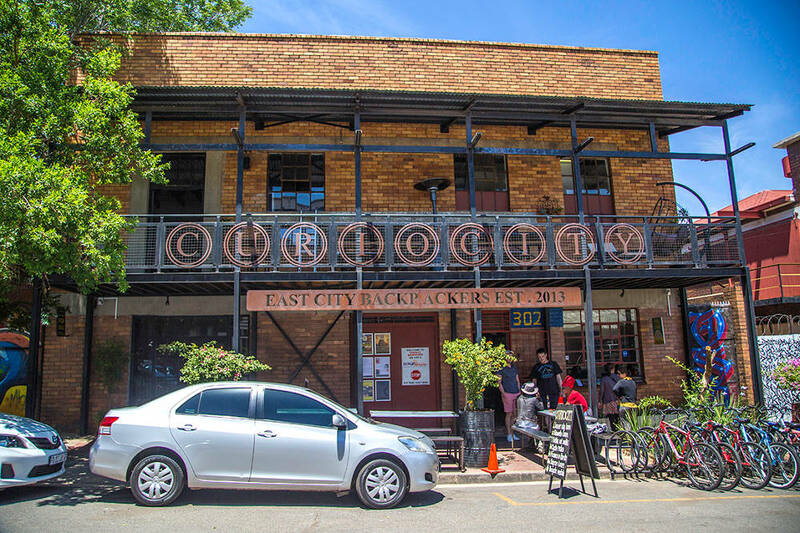 Take an enlightening inner-city bicycle tour from the Curiocity Backpackers. Catch a local or international independent film at the Bioscope. Visit the studio of iwasshotinjoburg, which gives homeless children cameras to capture their stories and earn an income. See the artistic process at the Centre for the Less Good Idea at Arts on Main. Hang out with the international travellers at the Curiocity Backpackers. Have an arty experience at the 12 Decades, with rooms designed by some of SA’s leading artists. Stay in luxury in what was once a diamond-polishing centre at industrial-chic Hallmark House. 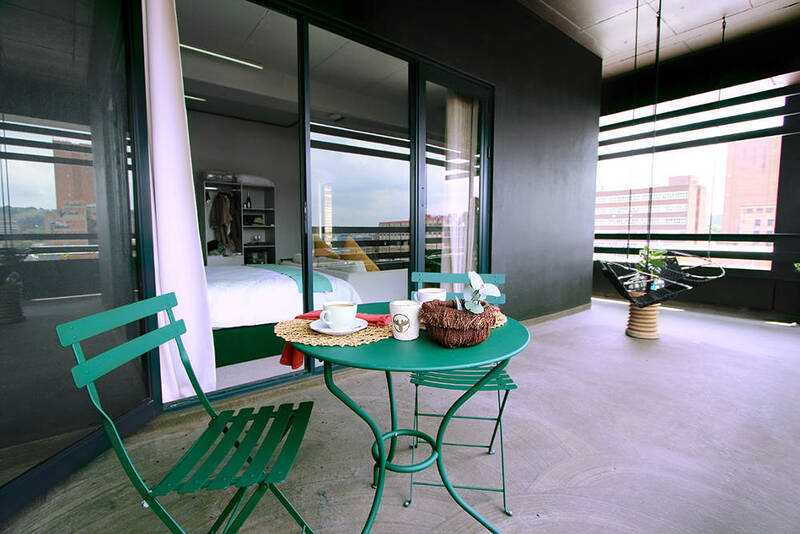 Check out Airbnb.com for incredible downtown apartments – look out for “Maboneng Gem Studio Loft” or “Hip Maboneng Joburg Apartment”. Stay down the road in hip and happening Braamfontein at The Bannister.